The world's greatest ultra-marathon, the Comrades is a gruelling test over 56 miles (90km) between Durban and Pietermaritzburg every year. 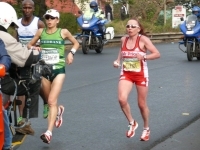 The race alternates between the uphill run from Durban and the downhill from Pietermaritzburg, and is a real test of physical endurance. The winners usually take about five and a half hours to complete the course, but participants have 11 hours to complete the race. This historic marathon was born out of the ashes of the First World War, when a South African soldier called Vic Clapham approached the League of Comrades of the Great War, an organisation established to support soldiers who had fought in the war and their families. He discussed the idea for an athletics race, insisting that if armed forces could endure forced marches over great distances then trained athletes could easily cover the distance he suggested. Clapham encountered a lot of resistance and even ridicule. However, he finally succeeded in establishing the race in 1921. In that first year, only 16 runners managed to finish the race. To compete, runners must have successfully completed an officially recognised marathon in under five hours, and must be over 20 years of age. For details, check out the official website.